The Kernel is one of the most important components of PCLinuxOS. It is core of the computer's Operating System (OS) with complete control over everything in the system. It is one of the first programs loaded on start-up (after the bootloader) and handles the rest of start-up as well as input/output requests from software for peripherals like disk drives, keyboards, monitors, printers, and speakers. It also handles the allocation of important resources such as memory and CPU time. You can find out which kernel is running in your system by running the uname command in a terminal window. As development of Linux kernel proceeds, new versions keep on getting released. Newer versions generally mean better hardware support and may be more responsive. The kernel version is made up of three numbers separated by dots e.g. 4.14.15. The first two numbers (4.14) identify the kernel branch and the last number (15) is the release within that branch which is incremented each time a new kernel is released. Branches exist to help separate out new functionality from security and bug fixing. Sometimes new functionality designed for modern machines will not work at all on older machines. These older machines can stay on an older branch but still get security and bug fixes. Certain branches are referred to as LTS (long-term supported) which means they are supported for an extended period of time for older hardware. See kernel.org for currently available branches. The PCLinuxOS repository usually has the latest stable kernel plus the latest updates in one or more of the latest LTS branches. If all of your hardware works with the existing kernel you may not need to switch to the latest branch. However sometimes other major software components (e.g. drivers or Xorg) may require a minimum kernel version in order to work properly. When this happens an announcement is made in the forum instructing users to update their kernel. Miscellaneous - including but not limited to boredom with the existing kernel, adventurous lifestyle, need to fill lots of empty space in the harddrive etc. It is important to note that the kernel is never updated as part of the the normal apt/Synaptic update process. This is because updating implies removal of the previous version. This would be bad news if the new kernel is not suitable for YOUR hardware! Instead, new kernels are added to the system (much like installing a new application). The previous version is kept in case of problems and will be shown on the boot menu and can be selected if the new kernel will not boot for some reason. Search Synaptic for the keyword kernel-. The kernel currently installed will have a solid box next to it. Mark for installation and Apply. Once Synaptic has finished you need to reboot to use the new kernel. 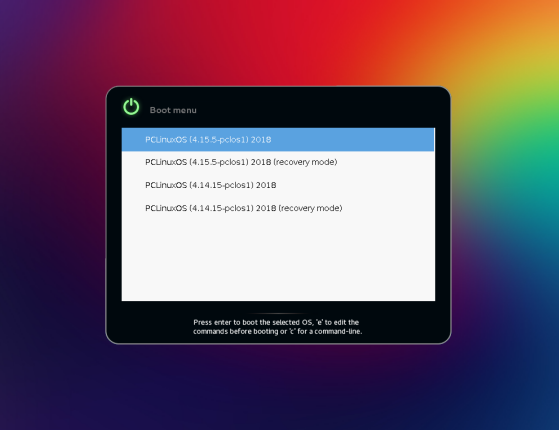 The first time you reboot after installing a new kernel it will take longer to boot because various modules need to be rebuilt to work with the new kernel. You can monitor this process by pressing escape to dismiss the splash screen. Subsequent reboots / startups will be normal. When you reboot after installing a new kernel, it becomes the default kernel. The original kernel is still installed and is available as a choice in the GRUB menu. This page was last edited on 2 April 2019, at 16:21.